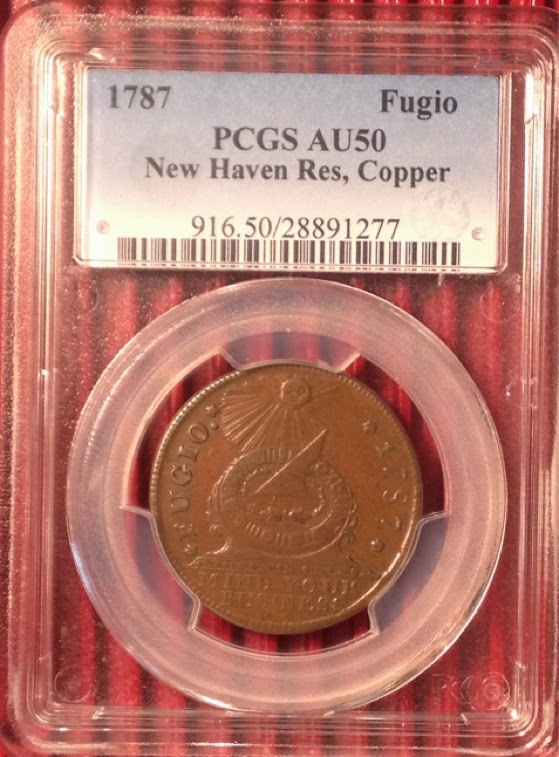 Not many of us can afford to own examples of the earliest U.S. coins. Mintage figures were often very low and some are so scarce that it is difficult even to find pictures of them, never mind have an opportunity to own. 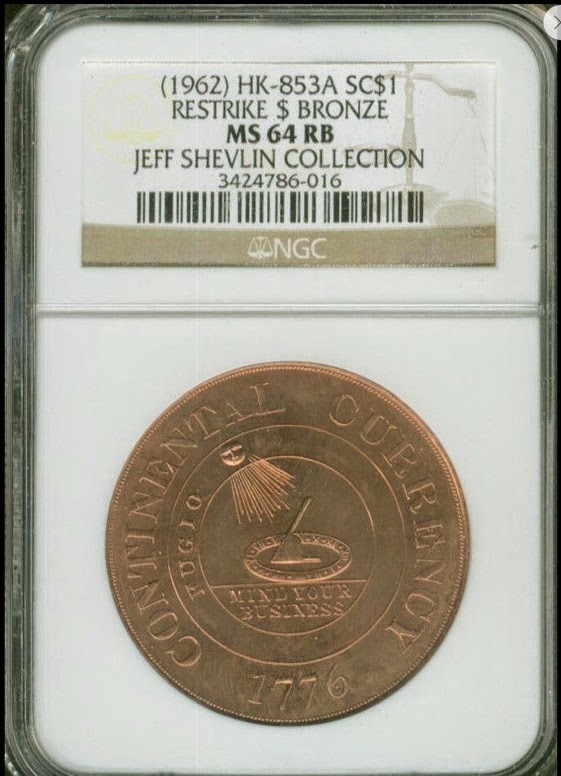 By the way, many of the coin pictures here are Courtesy of Heritage Auction Galleries/www.ha.com. If you are one of those people who can afford this sort of collecting (or if you just enjoy looking at things like this), Heritage Auctions is a great place to browse. In March of 1791, Congress resolved that a mint should be established and that the President (then George Washington, of course) should make that happen. Notice the simple language and lack of detailed instruction of the resolution below; it's very different from any Act of Congress you'd read today. Basically, Congress wanted a Mint and the rest was up to the President. III. Resolved by the Senate and House of Representatives of the United States of America in Congress assembled, That a mint shall be established under such regulations as shall be directed by law. Resolved, That the President of the United States be, and he is hereby authorized to cause to be engaged, such principal artists as shall be necessary to carry the preceding resolution into effect, and to stipulate the terms and conditions of their service, and also to cause to be procured such apparatus as shall be requisite for the same purpose. The Mint was seen as very necessary. This wasn't just national pride. There were coin shortages and the coins that were in circulation were a jumbled mix of State and foreign coins that varied widely in size, weight and value. Anyone who has been puzzled by currency or has accidentally paid too much in a foreign country is sure to appreciate how confusing this must have been for the Colonists. You might have been offered payment in French coins one minute and Massachussets shillings another. Federal coinage was an answer to a very real problem. 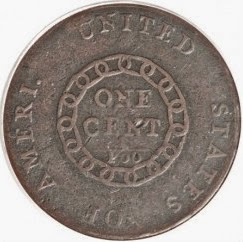 The actual construction and operation of that Mint was a year away and so were instructions from Congress as to what sort of coins were to be produced. In the meantime, proposals were made and some pattern coins were struck at private mints. 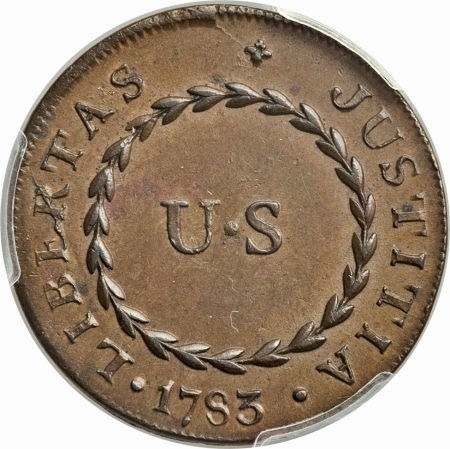 One coin, the Fugio Cent, was authorized by the earlier Continental Congress of 1787. The design, presumed to be by Benjamin Franklin, was the same as paper money created in 1776. Surprisingly, considering that only about 400,000 of these were minted (by James Jarvis, who obtained the contract through a bribe), uncirculated examples are not difficult to find. We know that the Bank of New York acquired a full mint keg (possibly 15,000 coins or more) of these in 1788 and only started disbursing them (to favored customers) in 1926. They still had coins left as late as 1948. There were also restrikes in the mid 1800's. These are known as "New Haven Restrikes", though they were actually most likely made in Waterbury, Connecticut, not New Haven. As there are multiple die varieties, these may have been restruck at other mints also. The original mintage was supposed to be for 300 tons (probably about 30 million coins) - imagine how common these would be today had that production been achieved! There was also a dollar coin (commonly called the Continental Dollar) of similar design. No contract was ever issued to produce these, so all examples are either patterns or much later restrikes made in 1876. These designs were contracted by Robert Morris, the one and only Superintendent of Finance the United States ever had. There has been disagreement over whether these should be referred to as "Nova Constellatio" or "Constellatio Nova". The dates of 1783 almost certainly do not mean that these were made then. No references exist before 1785, so those dates were probably meant to be symbolic of the 1783 Continental Congress rather than to mean the date of issue. However, there are also coins dated 1785 and 1786, so perhaps coinage was intended for 1783. These coins did circulate and large numbers were minted, but they were produced in England, not the United States. It is estimated that several million of these were made, yet it is less common than those figures might suggest. That may be partly due to being driven out by heavier weight copper cents and they were actually made illegal in New York. We know that private mints bought up many coins to reuse for new coinage, so that certainly contributed to scarcity. The first official coins actually struck were half dimes. 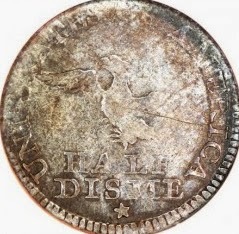 Some 1,500 were produced in July of 1792 by John Harper, while the Mint itself was still under construction. Although not officially produced at the Mint, mint personnel apparently supervised this coinage. Many references state that George Washington supplied a hundred dollars worth of "silver plate" for these coins, but not everyone accepts that as fact. Some numismatists insist that these coins should be considered patterns rather than actual issues. They point to the fact that George Washington handed out many of these to friends and dignitaries as keepsakes. However, these definitely were intended for circulation and many worn pieces are known, so some of the coins certainly saw real use. 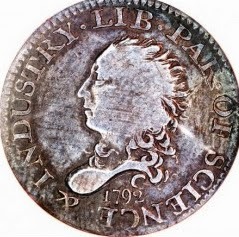 The 1792's are particularly interesting because some of them contained silver, either as a noticeable plug in the center (the "Silver Center Cent") or mixed in ("fusible alloy cents"). The idea was that the silver would be worth 3/4 of one cent and that the copper would make up the rest, giving the coin an intrinsic value of one cent while keeping its size down. As these coins are rather rare, and testing actual metal content is naturally frowned upon, all of the non-plug varieties are referred to as ‘fusible alloy’ regardless of what their actual mixture might be. A larger version was made with only copper. These were intended as patterns, yet lower grade coins exist. Perhaps they were spent at later times? The 1793's were definitely for circulation. The early "chain" design had 36,103 pieces struck and when the rather ugly design was changed to the "wreath" version, another 63,000 or so of those were produced. I once owned a very well worn "wreath" 1793. 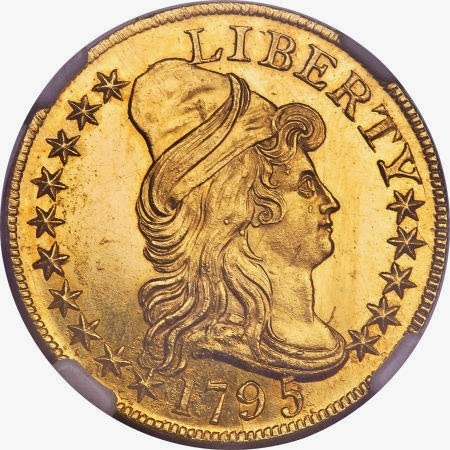 The date was gone, but it was easily identifiable because the "Liberty Cap" cents of 1793 were a much different design. Even though this was many years ago, and the condition so poor, I paid more than $100.00 for the coin. Today, a similar piece might fetch $500 or more. 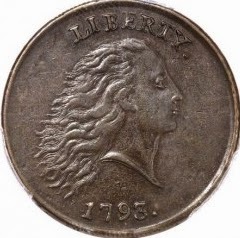 While public sentiment was strongly against the wild haired "Liberty" of those first coins, it does have a certain attraction in spite of its crudeness. To my mind, the later "Liberty Cap" cents are actually less attractive. The first gold was deposited at the Mint in February of 1795 by Moses Brown of Boston. He deposited a little over $2,270.00 in gold ingots and was given silver coins in payment. The policy at the time was "free coinage". That is, you could bring silver or gold bullion to the Mint and they would turn it into coins at no cost to you. However, if you were not willing to wait, as Moses apparently was not, you'd pay a fee of one-halt percent. I assume Moses Brown was probably the Brown referred to in this Wikipedia article. If so, he may have needed the coins for his various businesses. That $2,270.00 was roughly equivalent to $40,000.. today, so it was hardly a small amount of money, yet no great fortune either. It might be perfectly reasonable that he needed the silver coins for business. Given the weight of a 1794 half dime (20.8 grains), that pile of coins would have only been 130 lbs or so. However, the total mintage of silver for all of 1794 and 1795 was only 86,416 half dimes ($4,314.00 worth) and there were only 5,300 half dollars and 1,758 dollars made in 1794, so however Moses mixed his take, he went home with a significant portion of the Mint's output! 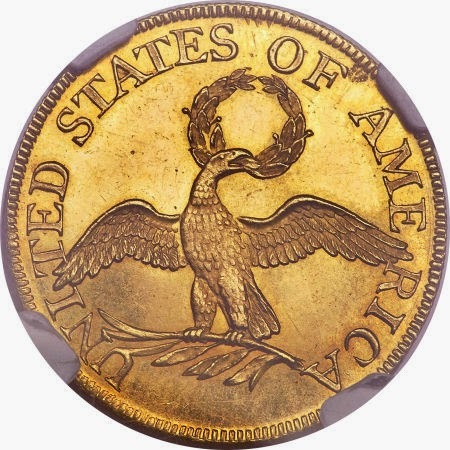 Seven hundred and forty four gold half-eagles ($5 coin) were delivered to the Treasury on July 31st, 1795. The total mintage for the year was 8,707 of these. I personally think this particular coin is one of the most beautiful ever made. The designer was Robert Scot, who was Chief Engraver of the Mint. His eyesight was failing even when he was appointed, which might account for the ugliness of the half dime, but I find nothing ugly about this coin. As so few of us can afford most of these rarities, replicas are often available so that we can have something more tangible than a picture. The Hobby Protection Act of 1973 made these reproductions (all stamped "COPY" on one side or the other) legal.